Please join us to celebrate the new home of Fox Valley Tax Solutions at 605 West Main Street in Saint Charles. The open house will begin at 3:30 p.m. on Feb. 13 and will be attended by Mayor Ray Rogina who will officiate the ribbon cutting. Drinks and light snacks will be served following the ceremony. We would like to express sincere appreciation to our valued clients for helping our business grow. It is always a pleasure serving your tax needs. Harry and Todd are extremely fortunate that Carol Bly-Julian has joined Fox Valley Tax Solutions as a new partner. A well-respected Enrolled Agent, her considerable talents are an invaluable addition to our team. Carol is a Graduate of DePaul University with a BA degree in Economics. While her early career was focused on Human Resources and Office Management, she soon started her own business and ultimately focused her attention on tax preparation. Carol has been doing tax work since 1999 and became an Enrolled agent in 2012. She has vast experience in business, payroll and sales tax and is skilled in bookkeeping issues. 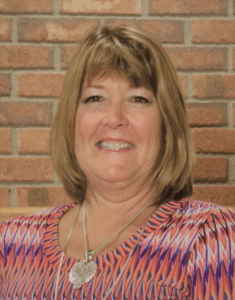 Carol is on the board of several not-for-profit organizations including Fox Valley Chapter of the Illinois Society of Enrolled Agents and her Snowmobile Club. When she is not doing tax work you can find Carol in her cabin up north churning up snow in her snowmobile. Quite frankly, Carol takes the Fox Valley Tax Solutions emphasis on client service, depth of tax knowledge and continual improvement to a whole new level for us. Her experience in business tax and attention to detail are a perfect fit for the firm as we take the next step in providing clients with unmatched tax services. Our Winter 2016 Tax Newsletter in now available! Clients can expect our Newsletter to be attached to the annual year end email which will be arriving soon.